Shenzhen Open Innovation Lab (SZOIL), established by Maker Collider and SIDA, is a space and platform for worldwide makers to communicate and cooperate. SZOIL is also the first Fab Lab in Shenzhen authorized by MIT CBA as a research and development partner of Fab Lab 2.0. 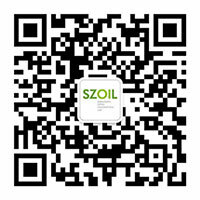 SZOIL embodies four functions including Fab Lab promotion and Fab Lab 2.0 research and development, innovation and entrepreneur education courses for makers, global maker service platform, and industry chain collaboration service. The lab dedicates in exploring the issues and developing solutions to connect the massive production ecosystem to small hardware startups so as to promote the international standing of Shenzhen in the development of digital intelligent hardware and manufacturing and build a future intelligent hardware Silicon Valley by combining new open source method and current manufacturing system in Shenzhen.